A free Easter Photoshop template. Do you send out holiday cards? Occasionally I get in the mood and do a little holiday greeting for my friends and family. They usually don’t take me a lot of time or money to make. I have them printed at Costco photo and they always turn out great. Although, I’m sure any photo store will do a good job. 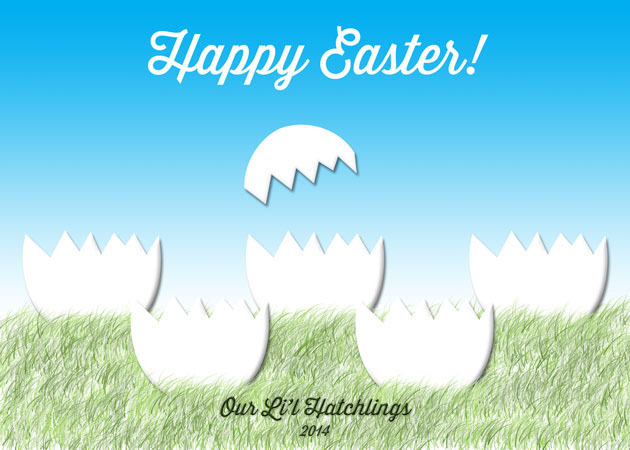 Here’s a cute little Easter card that I made. I found some cute pictures of the kids and then created a Photoshop mask around them. (Hint: If you are going to take pictures for this card be sure to do it in front of a plain wall/background. It will make the masking so much easier!) I resized them so that they were all about the same size. 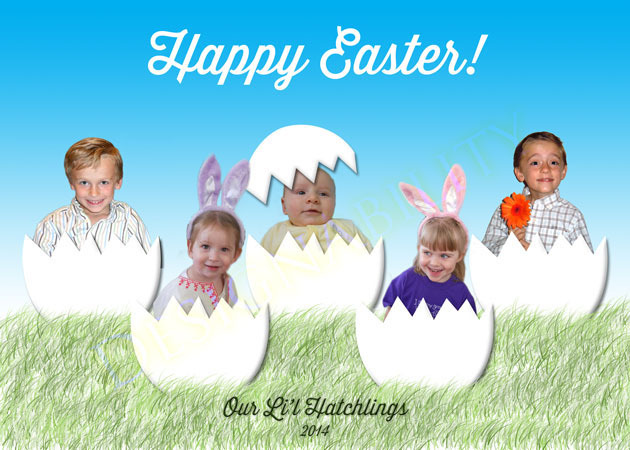 Click here to download the Easter Hatchling PSD Template.